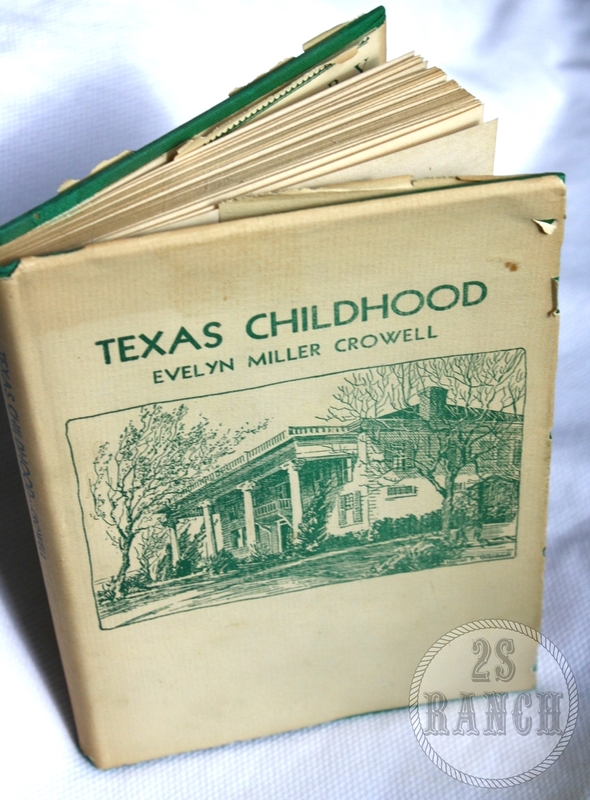 Evelyn's book, "Texas Childhood," with a picture of the Millermore Mansion on the cover. Our family has deep roots in Texas, specifically in the Dallas area. Martye's third cousin on her mother's side, Evelyn Miller Cromwell, was a writer back in the 1930's-1940's. She was a free lance writer for Texas and New York newspapers, national magazines (Harper's, New Yorker, Reader's Digest, New Republic, Survey Graphic etc.) and she even wrote children's novels. Evelyn wrote her first book, Hilltop, at the age of 19 in 1913. She also wrote a book called, Texas Childhood, where she paints an unforgettable picture of life at the "Millermore." The Millermore is the mansion that Evelyn's grandfather on her mother's side built in 1846. That is just one year after Texas joined the Union and within the first five years after the first settler reached Dallas. Evelyn grew up living in the mansion along with her mother (Minnie Miller) and father (Barry Miller, the Lt. Governor of Texas who was responsible for the Bluebonnet being named the state flower). She knew life at the mansion well and wrote the most genuine story from her memories growing up there as a child. Martye's grandmother would share stories of playing at the Millermore's mansion when she was a young girl! It truly was a special place for anyone who visited and Evelyn portrayed that well in her book. For locals to the Dallas area the Millermore Mansion might sound familiar to you, especially if you've ever visited Dallas Heritage Village (what used to be known as Old City Park). The mansion was moved from his original location next to the Trinity River to the historical village for preservation. Today visitors at Dallas Heritage Village can take a tour of the mansion and hear more about it's history. The Millermore Mansion at Heritage Village in Dallas, TX.